We need your help to complete the purchase of our wonderful facility pictured above. As you know we have been here since June 2016 expanding your ministry to our community. Volunteers answered 6,837 calls for help in 2018! Over 900 hospital beds, wheelchairs, commodes etc. were given away last year. In addition, Church volunteers gave away diapers, blankets and linens, towels, household goods, maternity clothes. As well as school supplies, coats, and Christmas gifts to over 500 children. 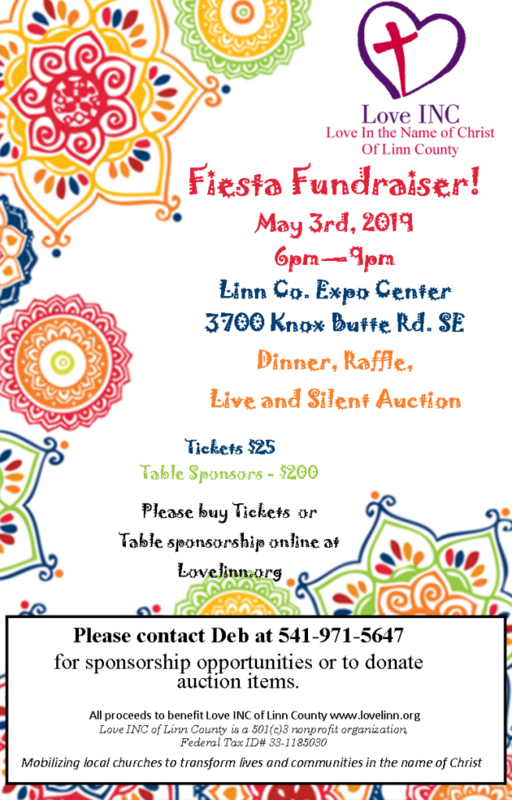 None of this would have been possible without your involvement and with your continued support Love INC of Linn County will be able to do even more. 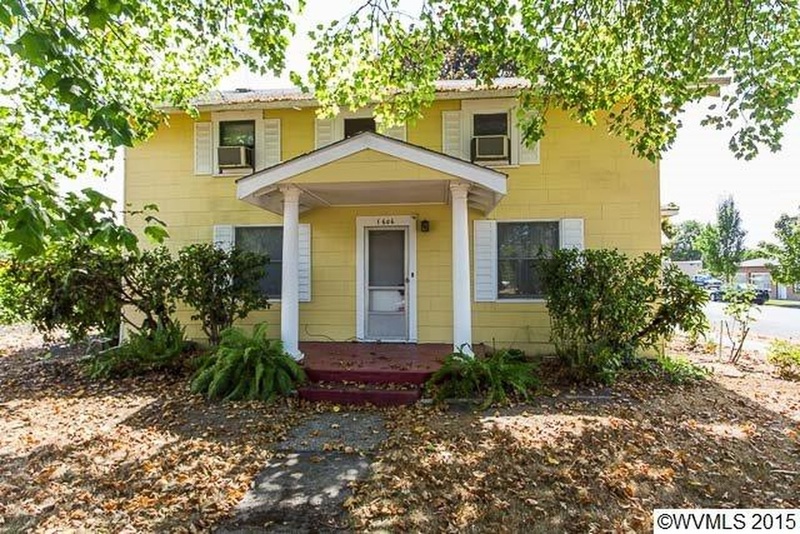 This property houses not only the Clearinghouse but the Career Closet, medical equipment, furniture, household goods.It is also a meeting place for the House of Prayer and Celebration and classes. This year we have continued to expand the transformational classes by adding Affirming Potential to the curriculum. One way you can help raise funds is by participating in our Fiesta Fundraiser. May 3rd at 6:00 at the Linn County Fair and Expo Center. We are looking for event sponsors, table sponsors and items for both our live and silent auctions. Individual tickets may be purchased on our website or visiting the office at 1606 Santiam Rd. I hope you will join with us to see Love INC of Linn County continue to grow in our ability to serve your neighbors in need. Please ask the Lord how He might have you join in this opportunity to advance His Kingdom work. As always, your contribution will be tax deductible. Your donation will further this good work being done in your community bringing hope and transformation to peoples’ lives. 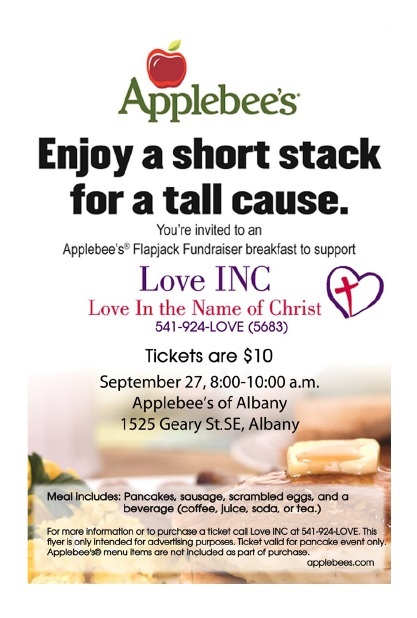 Enjoy a short stack for a tall cause. Use this link to download pdf bulletin inserts.